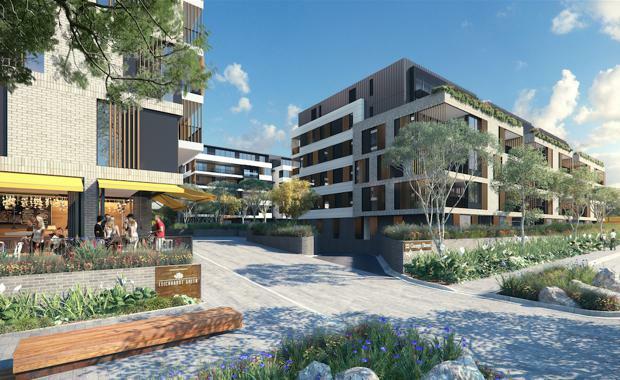 Greenland Australia has announced it will begin taking expressions of interest on its Leichhardt Green development this week. It is one of the first significant urban in-fill residential apartment projects of its kind in Leichhardt, Sydney. Responsible for Sydney's premium residential building - Greenland Centre Sydney at 115 Bathurst Street and most recently Lucent North Street at 225 Pacific Highway - Greenland Group's master-planned community on 22 George Street will comprise 5 buildings featuring a wealth of lively greenery throughout. Centrally located in Leichhardt's urban village, the site boasts superior connectivity being within walking distance to the new light rail, trains and buses. The development comes at a time of limited opportunity for this thriving suburb with just 90 apartments offered up for sale in Leichhardt in the last 12 months. Architectural and interior designers, Bates Smart, have been signed on to create the spectacular development in Sydney's inner west after recently winning an AIA (Australian Institute of Architect) award in the AIA Residential Architecture-Multiple Housing. Externally, Bates Smart's design will maximise the unique outlook, abundant natural light and access to generous open space. Residents will also enjoy views of the CBD and Chatswood. In response to Leichhardt Council's feedback to the initial DA, there have been improvements to the design and efficiencies of the building to further enhance the development including the provision of ground floor retail space. The off-site Leichhardt Green display on 752 Parramatta Road opened to the public on Saturday 6 June.